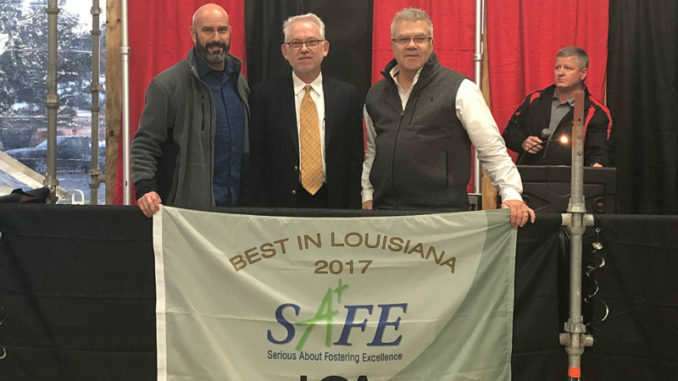 The Dow St. Charles site was awarded the Louisiana Chemical Association’s 2017 SAFE Award for Best In Class for companies with more than 400 employees. More information on the award can be found at www.lca.org/safety/safe-program/. From left is Site Leader Johnny Chavez, LCA VP of Health, Safety and Security. 13 for a special celebration and presented the flag to the employees.